WHY SHOULD I LEARN ABACUS ? As we all know numbers are part and parcel of our daily lives. From the moment of our birth till the end of life, we humans have to deal with numbers. And the irony is that most of us hate the subject called “Mathematics”. The reason has been the complexity in understanding a problem and once understood, getting a relevant and correct solution. It is said,“The only way to learn Mathematics is to do Mathematics”. Once the child puts his steps into the World of knowledge and starts learning, he is introduced to the number system. Then he gradually moves to the arithmetic calculations and learns many formulas and theorems. But this is not the end…..he is continuously surrounded by numbers in one form or the other all his life…..Roger Bacon said “Mathematics is the Door and Key to the Sciences”. There is not a single subject which does not use numbers in them. 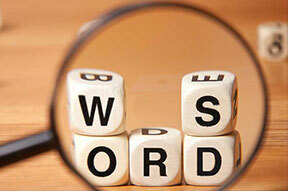 Be it Science, History, English or any other language, numbers are integral part of them all. In our school life, we are taught step-by-step method of doing a problem. As we move on in our academic career we need to remember many formulas and theorems. Once we finish this stage of our life and move on to settle in our life either by doing a business or getting a job, electronic gadgets like calculator, computer, mobile phones takes over the job of doing calculations for us. It is said that we humans use only 10% of our brain capacity. If it has to be used to its full potential, we need to do some mental exercises that engage our analytical skills. Abacus learning and puzzles are found to be very efficient in this perspective. 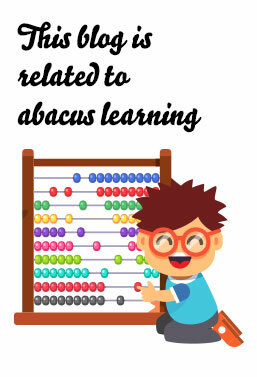 Abacus calculations not only helps to boost the brain power, but also helps in improving concentration, memory power, speed, listening power etc. It is good the introduce abacus learning around the age of 5 years, when the child already knows the number system and basic addition and subtraction as part of the school curriculum module. 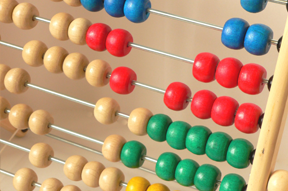 Abacus learning makes the child more confident by improving the speed and accuracy in calculations. This in turn helps to build-in his overall personality. Don Herold said “The brighter you are, the more you have to learn.” So never stop learning, because life never stops teaching. MAKE ABACUS LEARNING INTERESTING, HOW?? BEST AGE TO START ABACUS TRAINING.